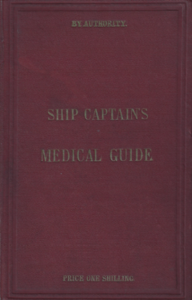 The Ship Captain’s Medical Guide is a remarkable book. Commonly known by the abbreviation SCMG, the first edition was published in 1868, so 150 years ago. 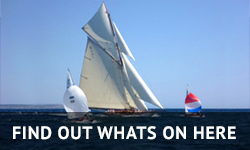 The previous year, in 1867, a profoundly important piece of legislation was passed by the British Government – the Merchant Shipping Act, 1867. This was a truly humane deed by the British Government. Going to sea, for any reason, such as a member of the Navy, for trading, for exploration, and for fishing, had long been known to be very risky. In the early 1800s, it was commonplace for more than ten percent of a ship’s company to die during the course of a voyage. 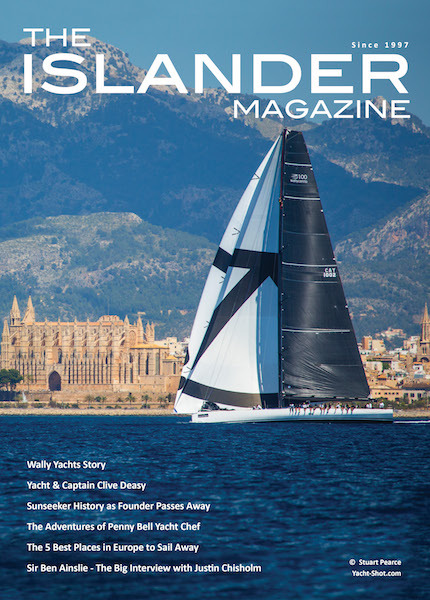 Life was cheap, merchants, owners and Captains were very powerful, the seamen had no recourse in law, and they usually had no options in terms of other occupations. The Merchant Shipping Act 1867, for the first time, put the onus of responsibility on the owners and Captains of vessels sailing under the British Flag, to carry medical stores to a standard defined in law, carry lime or lemon juice of a certain volume and standard, and to provide seamen with a certain standard of accommodation and working conditions. In addition, every ship was required to carry a medical book, containing instructions for dispensing the medical stores. And so the Ship Captain’s Medical Guide came in to being the following year. The first edition was written by Harry Leach, Resident Medical Officer, Hospital Ship ‘Dreadnought’, and Inspector of Limejuice for the Port of London. It was, and still is, a ground-breaking book. Some of the opening comments resonate through the past 150 years, are remarkably perceptive, and still very relevant to the practice of medicine today, in the 21st century. The ‘Preface’ and the opening ‘General Remarks’ are worth reading, and I urge you to do so. The SCMG has been periodically updated since 1868, and a total of 22 editions have been published over the last 150 years. Changes have included developments in the understanding of disease, notably of infections. 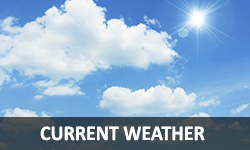 Treatments have been updated, with amendments to the required medical stores, and technical developments such as access to radio-medical advice have been incorporated. With the introduction of training in first aid and medical care for officers, the SCMG became the course textbook, in addition to its main role as an indispensable aid to treatment of injury and illness at sea. Medical technology. The capability for ‘point-of-care’ testing has fundamentally changed how medicine is practiced, from the bedside in the most technical Intensive Care Unit, to the remotest place on Earth. Vital signs can be measured with remarkable accuracy, and tests and examinations performed on a patient to a level previously not possible. All this objective clinical information better guides the process of making diagnoses, and thus formulating more effective treatments that fundamentally improves and preserves lives. Treatment algorithms. The advent of Advanced Life Support and Advanced Trauma Life Support emergency treatment algorithms in the 1980s-90s introduced a structured way of delivering care in emergency clinical situations. The concept of treatment algorithms has been extended to many other areas of emergency medical and trauma conditions, and also other more routine medical conditions. Such an approach gives the non-medical professional clear guidance on recognising serious clinical situations (using ‘red-flags’), required immediate actions, and also when to call for advice. A revolution in global communications. Telemedical advice is available almost instantaneously, from anywhere in the world. Also, images and medical test results can be sent to shore-based medical advisors in almost real time, to aid the advice given back to the vessel. 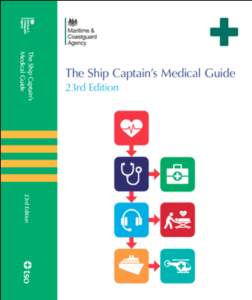 The new 23rd edition of the Ship Captain’s Medical Guide is due to be published early in 2019. The cover of the new SCMG echoes the past editions, whilst intimating the new approach to dealing with medical problems, new medical technology and global communications, that are fundamental elements of the new guide. 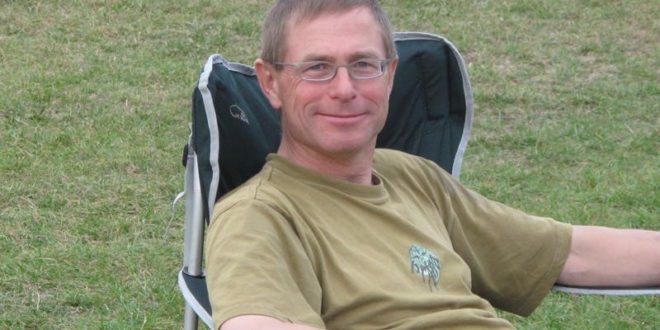 Our very own Dr Spike Briggs of MSOS is proud to have been the lead author of this edition of the guide assisted by – Dr Tim Carter, and Dr Katharine Harrington.